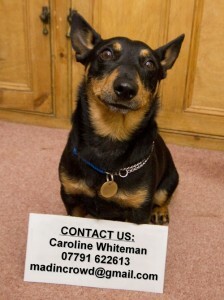 Dora is the first Lancashire Heeler to get to the semi finals of the Junior Warrant competition! 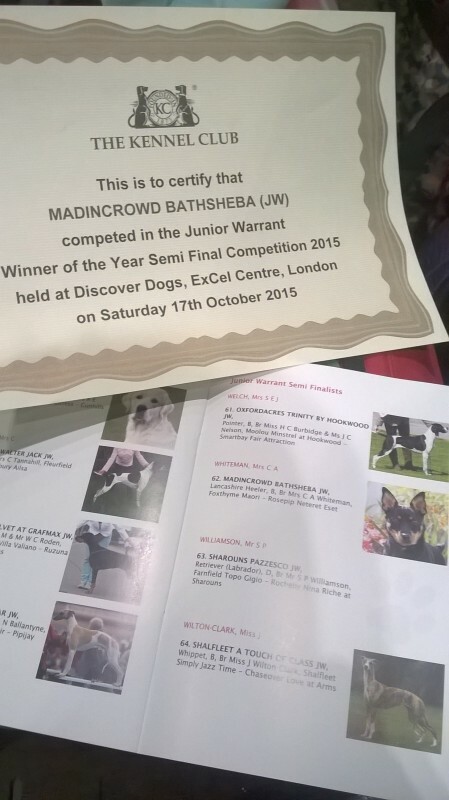 We travelled up to London to the Junior Warrant Semi Final Competition which was held at Discover Dogs, ExCel Centre London on Saturday 17 October 2015. James drove us and also took a video of the competition – unfortunately we did not get through to the final 10 out of 64 finalists but were thrilled to be there and to represent our breed. ⟵Bilbo goes Speed Dating at the Kennel Club!